‘– “Wonderful, evocative and vivid writing. 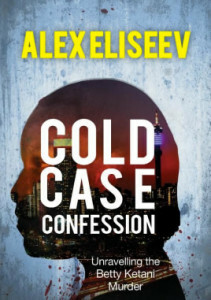 Eliseev is a very exciting new talent.” – Peter James is an international best-selling British writer of crime fiction. ‘If you are reading this then I am dead.’ This is the opening line of a letter hidden under a carpet for a decade. The chilling words are followed by a confession to a murder committed nearly 13 years earlier. The chance discovery of the letter on 31 March 2012 reawakens a case long classified as ‘cold’, and a hunt begins for the men who kidnapped and killed Betty Ketani – and was convinced they had gotten away with it.